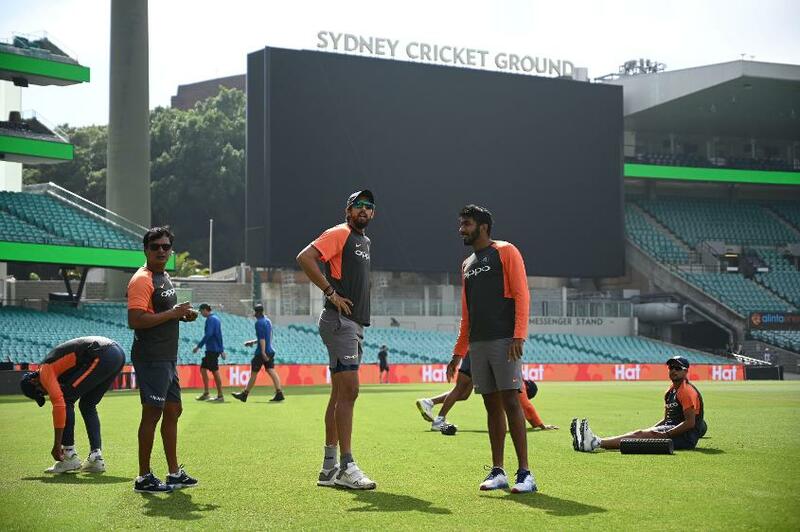 Ravichandran Ashwin, the India off-spinner, was named in the team’s 13-member squad for the final Test against Australia in Sydney despite concerns about his fitness. Ashwin took six wickets in the win in the first Test in Adelaide, but also picked up a groin strain that kept him out of the two subsequent Tests as India went 2-1 up. On the eve of the Sydney game, which starts on Thursday, 3 January, he wasn’t cleared as being fully fit, but the Board of Control for Cricket in India said a final decision on his availability would be taken on the morning of the match. At his press conference earlier on Wednesday, Virat Kohli, the India captain, had suggested Ashwin won’t be playing the Test and both team and player were “disappointed”. Stressing on Ashwin’s importance in the Test side, Kohli added, “In Test cricket he’s vital part of the team and we want him to be 100% percent fit and for a longer period so that he can contribute more to us in the Test format. On a surface that is expected to help spinners as the game progresses, India have retained Ravindra Jadeja and also included Kuldeep Yadav in the 13. Kohli, however, suggested they might still turn to the part-time spin of Hanuma Vihari. “The fact that Vihari has bowled beautifully whenever we’ve given him the ball makes us absolutely calm about Ashwin not getting to play,” said the captain. With Rohit Sharma missing this Test following the birth of his daughter, KL Rahul could return to open. Ishant Sharma has also been left out, with Umesh Yadav returning to link up with Mohammed Shami and Jasprit Bumrah to make up the pace attack.